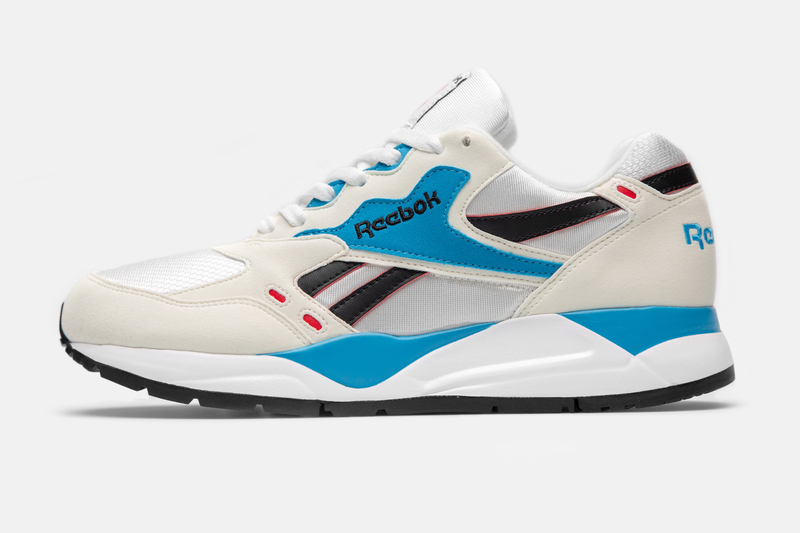 Continuing their revival of classic ’90s runners, Reebok reintroduces their ‘Bolton’ silhouette in two OG colourways. Reebok’s origins trace back to 1890’s Bolton, where footwear manufacturer Joseph Foster first began his foray into the world of sports shoes. Joe set about creating what is thought to be the first ever pair of running spikes – albeit very crudely put together – the left was sewn together, while the right was held together with nails. Since this humble inception, the brand has grown into one of the most instantly recognisable sportswear manufacturers today. 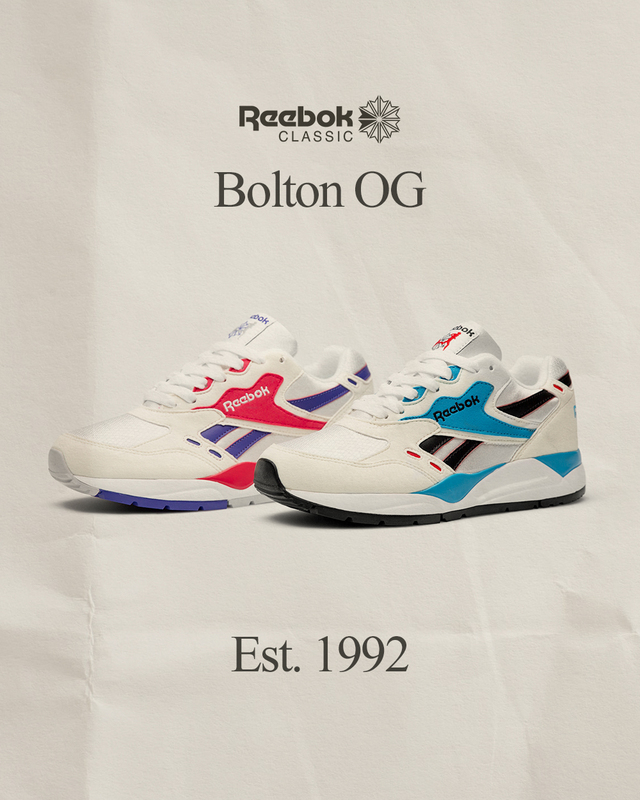 Honouring their northern roots, this season Reebok reissues the Bolton runner; first released in 1992, the vintage model takes its name from the Greater Manchester town where the brand first originated. Those with a keen eye will notice that Reebok is releasing the Bolton in two OG renditions: ‘Red Rush/California Blue’ and ‘Magenta Pop/Team Purple’. Both of which use white as a base tone, allowing the coloured accents to pop for a vintage style. Utilising a combination of synthetic suede and nylon mesh underlays, the Bolton OG was initially designed with competitive running in mind. 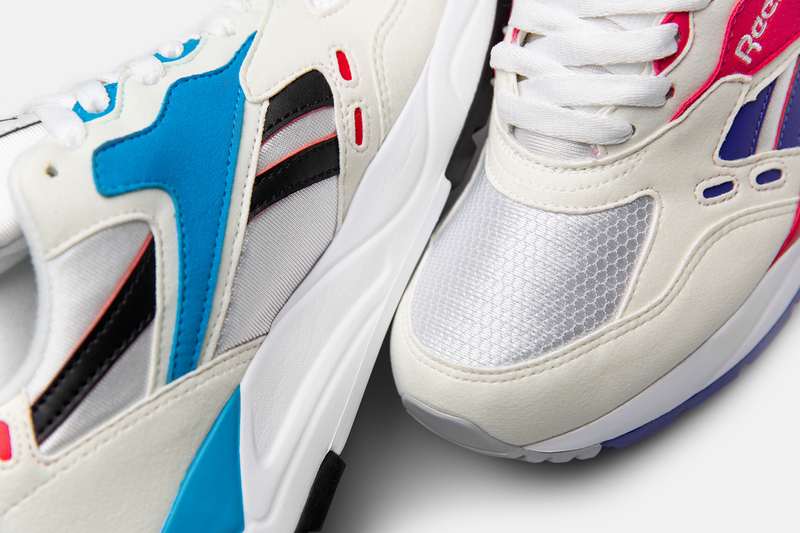 This reissue remains loyal to its OG predecessor, embedding the re-release with the same ‘Hexalite’ cushioning technology within the lightweight EVA midsole. This honeycomb-inspired technology was quite the feat at the time and was characterised by its unique hexagonal pods. These pods softened upon each step’s impact, effectively delivering superb shock-absorbing for runners. This retro re-release is complete with archival branding and a rubber traction outsole underfoot. 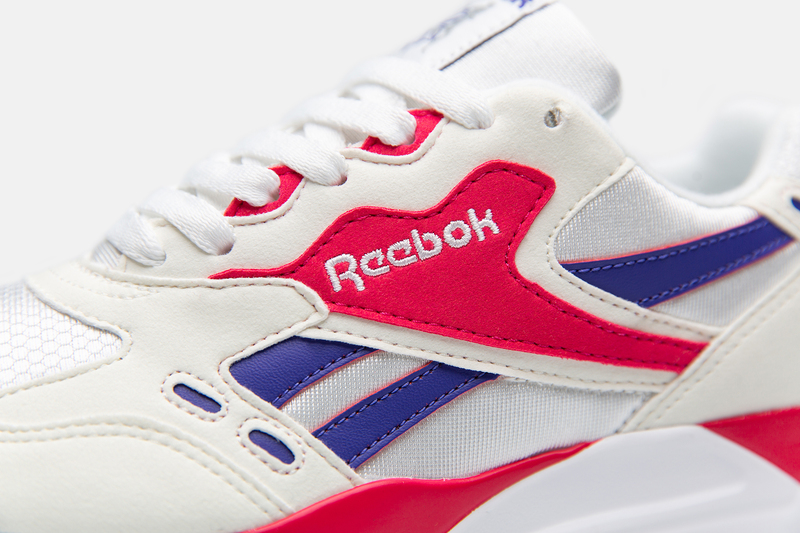 The Reebok Bolton OG ‘Red Rush/California Blue’ and ‘Magenta Pop/Team Purple’ will be available via the size? Previews App and in size? stores on Thursday 24th January, priced at £90 and available in both men’s and women’s sizes.